The tour starts at Fara Sabina station (45 minutes train journey from Rome). 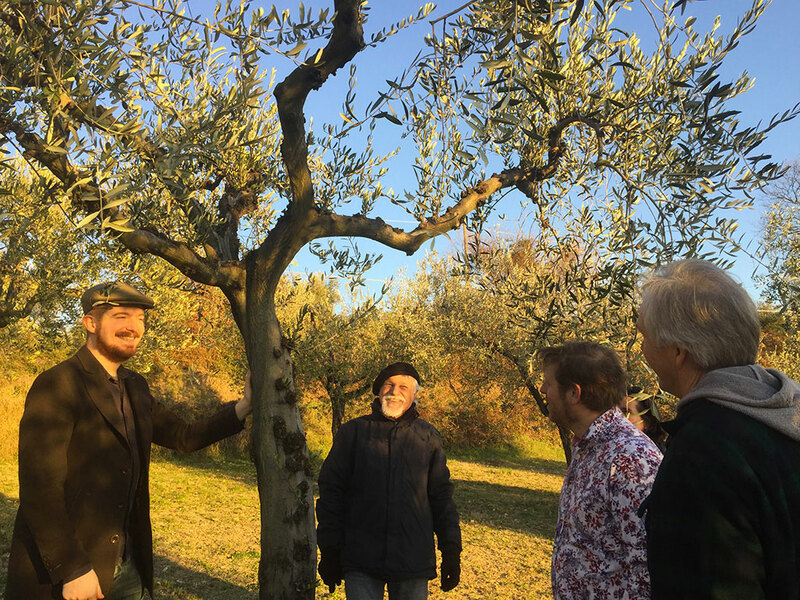 First stop is a beautiful olive grove where we will find wild herbs and vegetables. 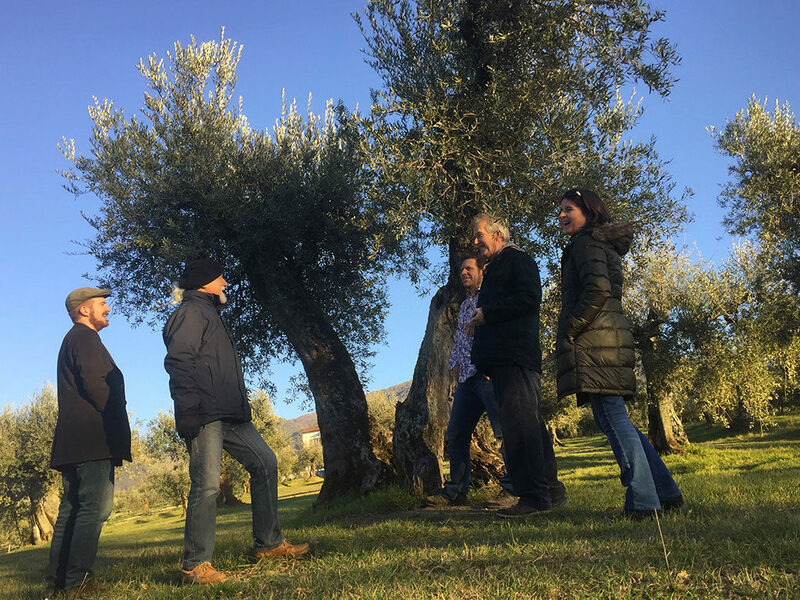 Then we visit an olive tree that may be 2,000 years old and takes 5 people to hug it. We then drive through the idyllic Sabina landscape to where we have lunch. 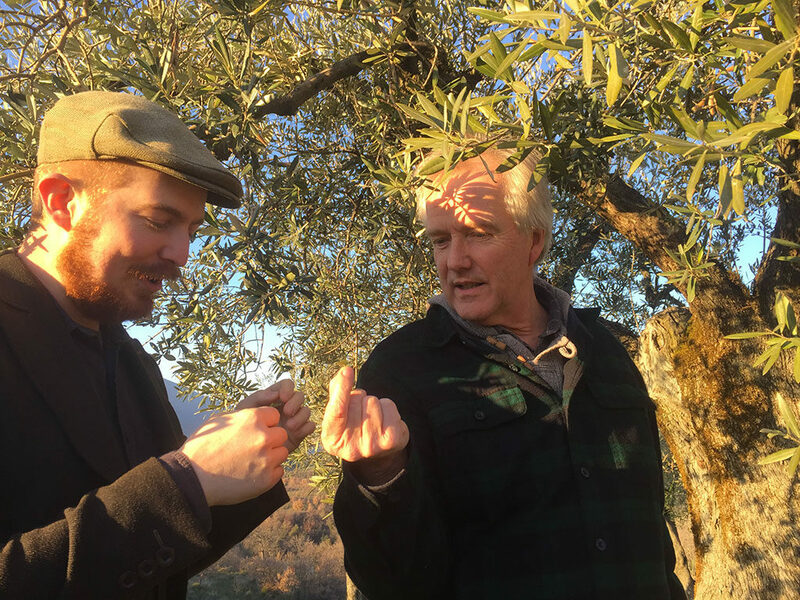 Here we taste at least 3 top quality olive oils; learn how they were made and learn how bad, non extra virgin olive oils are made. This presentation leads naturally into lunch where, with some of the foods served, we can experiment with olive oil pairing. After lunch we wind back through the countryside to the station and the train back to Rome. 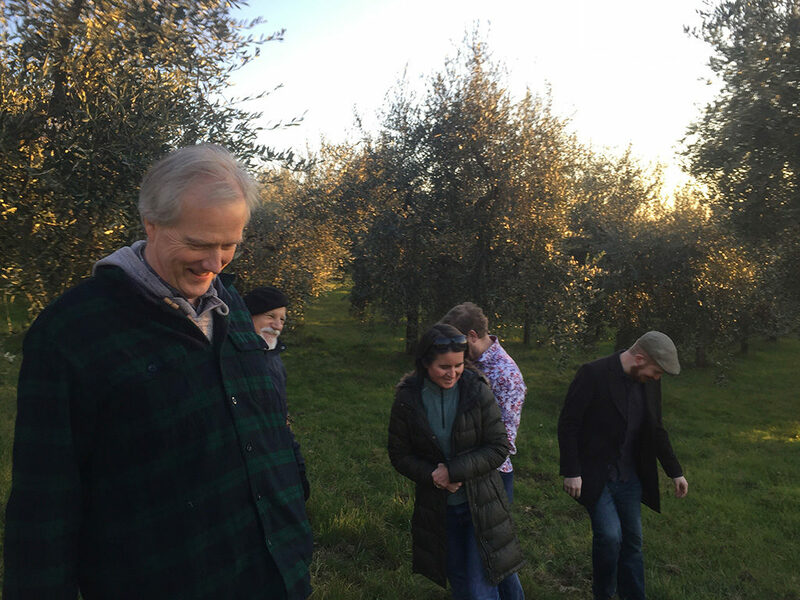 The Johnny Madge Olive Oil Tour is normally for small groups of up to 8 people but we cater for larger groups too. There are various different discounts for groups of over 4.